Acquiring backlinks remains a top agenda in search engine optimization because it establishes and enhances the authority of websites with better chances of earning high ranks. Creating strategies for outreach is part of the link building process which depends heavily on your ability to reach out to other websites. Proper outreach adds substantial value to the optimization efforts. The primary goal of outreach is to generate valuable backlinks from other authoritative sites that sends positive signals to search engines about the good quality of your site. Unless there is enough merit in your website content and quality, no amount of outreach can generate the links that you are looking for. And since backlinks remain one of the three top factors that influence search ranking, you must work hard to generate the right outreach. Generating outreach might sound easier than what you would experience during the implementation of link building strategies. The task is especially tough because you must be mindful about the black hat techniques that abound SEO and stay clear of it. However, there is no reason to feel discouraged because of some good thought, and the desire to work hard can make things quite achievable. In this article, we have discussed some tactics that are highly effective in building outreach without worrying about tripping on the red line of blackhat techniques. One thing you must remember that you can hardly do anything new in search engine optimization but the best that you can do is to do what others are doing but a bit differently. The little tweaking goes a long way in providing good returns for your efforts in link building through greater outreach. Creating unique and quality content is the first step to establish authority in your niche, but it can be a tough task to gather ideas about the right type of content by researching the audience and analyzing trends. Instead of wasting time to identify the type of content to develop, an easier way is to hunt for a piece of top-quality content built around the search term that you are trying to rank for. Simply put, you draw inspiration from the content and gather ideas based on which you develop your own unique content which is an improved version of the source content and then reach out to the right websites for gaining the proper exposure. However, before you latch on to the inspirational content, you need to be sure that you are working in the right area and back it with your own research to add more value to the content that you create. Do not mistake it as rewriting the content but use the ideas to create content that has marks of your creativity. Just like content that helps to create outreach, another way is to create a free tool for search engine optimization that people can access by visiting your website. Free tools are quite powerful in gathering backlinks and to know what kinds of free tools are in circulation; you can search the internet. From the list of free tools, you will find many tools created just for acquiring backlinks. The tools are like bait that attract other websites and lead them to your site thereby providing an opportunity to link. For example, if providing loans is your business, you can create a free EMI calculator that helps to drive targeted traffic to your website and at the same time gather links from other sites related to the same kind of business. While the techniques described above do not involve any investment, what we are going to discuss now involves some expenses. No, you need not to worry about spending because it is not for link building that can penalize you. 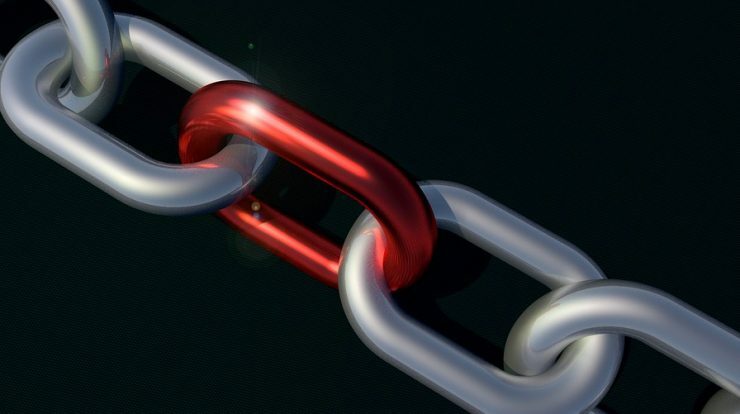 The money you spend is for building a relationship that paves the way for earning links. Since you are searching for high authority links, you can approach some university or college team and offer them sponsorship with a request for sending a link from their team page. If you have targeted the right source, you should receive a link from an authoritative domain which in turn will reflect brightly as your website credential. Influencers exert lots of authority, and you can get a share of it by arranging to publish an interview of a renowned influencer in your business niche on your website that creates an avenue for obtaining backlinks. It should not be difficult to find influencers in your industry who are willing to sit for an interview with the exception of celebrities who might be quite expensive and often out of reach. Since visibility and outreach are equally important for all in the industry, having good social media following is essential to attract people towards your website that they can use for advancing their own outreach goals. Publishing the interview and arranging to spread it far and wide by using your social media presence would keep expanding the outreach and pave the way for earning more backlinks. Video content is excellent for gaining outreach and visibility, but sometimes it can be difficult for search engines to make out the context of the video content. To remove the hindrance, provide video transcripts of the content in HTML so that search engines can understand the context better. To take advantage of high-quality video content, you must identify such content by searching the web and pick up content created by some leading influencer in your field that carries good authority but does not have any transcript. All that you must do is to provide a transcript of the video content and upload it on your website or share it with the influencer. Indeed, you must obtain the permission of the influencer by connecting with him or her over the social media. And when you provide the link of the transcript to the influencer, they would gratefully acknowledge your contribution by engaging in conversation with you on the social media. During the exchange, you would not only receive shares of the content but also some shares of backlinks.